An adjustable chin strap secures the bonnet on your head and can be configured for people of any build. The logo rubs off quickly, spoiling the nice design. This stylish model is suitable for either home or salon use to provide the fastest hair drying without compromising on quality and safety. A nylon bag stores the hood when it isn't in use, making this a portable and convenient choice for everyone. Built-in holes are wisely placed inside the hood to provide even heat circulation for proper drying on all sides. The strength of the nylon used here is much lower compared to other similar models. If you apply hair conditioners and oils activated with heat, then this bonnet hair dryer should be a no-brainer choice. Use it for several minutes after setting a cosmetic product for the best absorption and you'll end up with glistening and healthy hair. This model is designed to nourish and support any products you already use. The spots most often subjected to tear are reinforced with double stitching. Hence, the risk of damaging the hood with a powerful hair dryer is minimal. The elastic at the end of the tube might get loose over time. 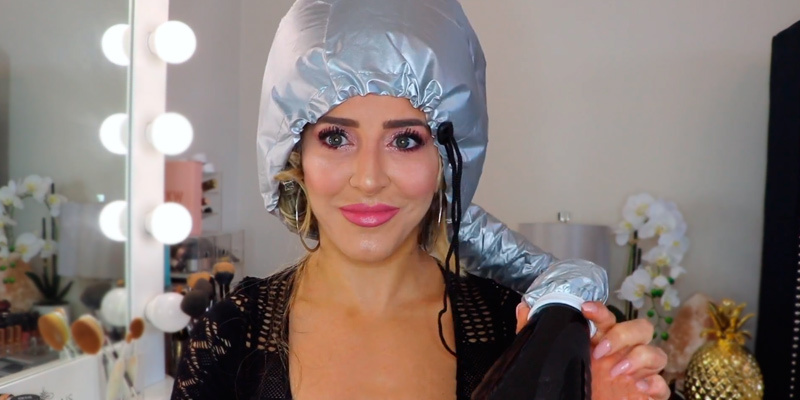 This inexpensive bonnet is a great asset for owners of long thick hair who spend much time on drying it after each wash. You'll cut down on hair care time and make it more effective while also preserving its health thanks to even heat distribution. The drawstring that tightens the hood around your head is proofed against wear and tear and will serve you longer. The hose is relatively short. MINPE produced this model for people with voluminous hair or dreadlocks. The hood preserves its efficiency thanks to the expandable top while also working on huge hairstyles just as well as on any hair type. This speeds things up and makes drying less of a pain in the neck. 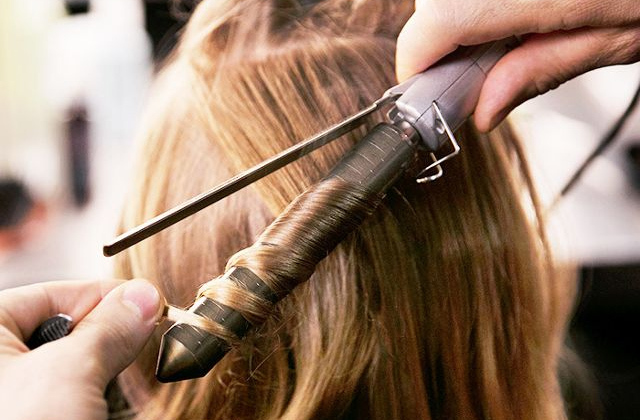 Despite its smaller diameter, the elastic band at the end of the hose is very flexible, allowing for both large professional hair dryers and portable travel models. Some users complain about uneven heat distribution. It is not a secret how tiresome drying long hair can be. It's compact yet large enough for most heads thanks to an elastic band that helps stretch onto the biggest hairdo you can think of. 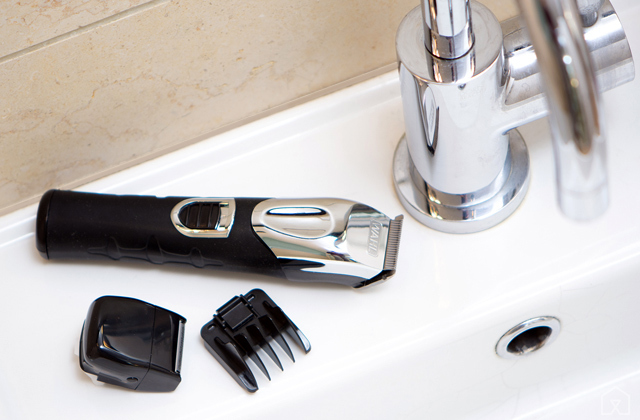 It's compatible with any hair dryer, making it a good choice for professionals and home use. Dried by a hot air flow, straightened with a scalding curling iron and more, our hair inevitably loses its strength and glossy look. But surely there has to be a solution to keep the beauty alive? The genius lies in simplicity: with the Deluxe Softhood bonnet hair dryer by Hair Flair you will be able to dry and style your hair with utmost care. Developed to be compatible with all the major handheld dryers, this model has a unique configuration of more than 120 ventilation holes die-cut over the hood’s crown and around its drum. That way the bonnet dries the hair not only faster but more evenly. Its hood capacity fits over rollers as well as curlformers without slipping, owing to its chin strap which can be adjusted and secured. Apart from that, the Softhood conditions hair, nourishes the roots, and bathes the strands in nutrients. So whether your hair is natural or dyed, you can be sure that this soft bonnet hair dryer will provide gentle and suitable care. This model is viable for both home and salon use to provide the fastest hair drying. Moreover, it helps in creating unusual hairdos and works on all hair types and colours. A universal choice for nourishment and care. 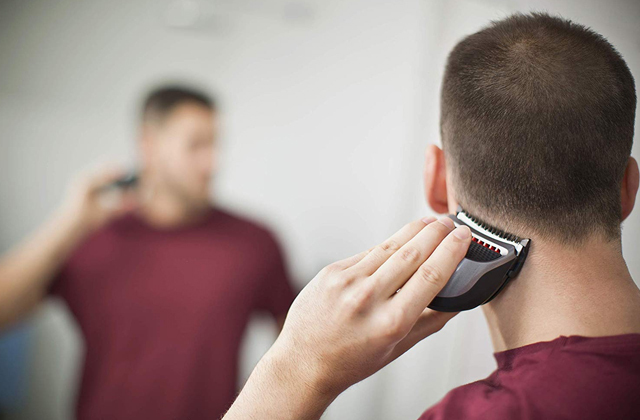 Can you envisage healthy hair drying and hair treatment procedures with a conventional hand-held dryer? Most likely not. 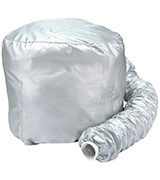 What if you partner your traditional dryer with a soft bonnet hair dryer? The first one helps you to straighten and style your hair while the latter fills out the process by making it less taxing on hair and nourishing each strand. 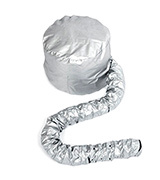 The EZ Bonnet Hood is a perfect model for anybody who knows that hair beauty originates from its health. This bonnet is suitable for hot oils and heat treatment as well as for deep conditioning that will enrich your hair with vital elements for hair growth and strengthening as well as skin care. All you need to do is fit the elastic tube end onto the nozzle of your hairdryer, put on the hood, tighten it around your head using the adjustable drawstring, switch on your dryer, and make yourself comfortable in front of a TV with a cup of coffee. So, it's working while you are enjoying yourself. What a delight! 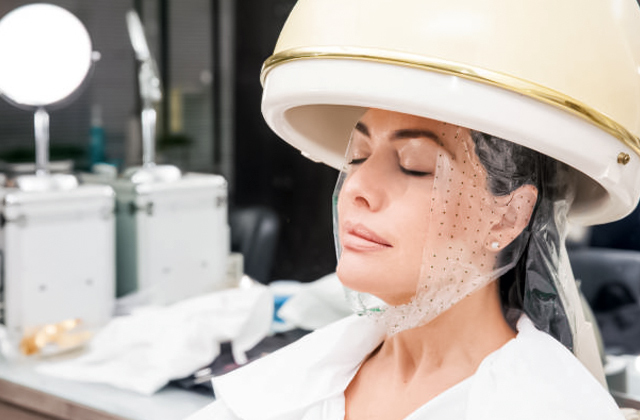 If you'd like to save some money and time you normally spend on hair care at your salon, comfortable use, a variety of applications, and easy maintenance make the EZ Bonnet Hood a great solution. Besides, it is a real bargain considering the benefits it offers. Every woman dreams of having long and thick hair, but only those who have it know how tiresome and time-consuming hair care can be. Luckily, you aren't left in the lurch. 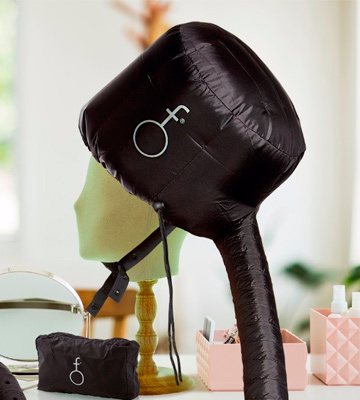 With the Hrph Home Portable Soft Hood Bonnet attachment, you can dry your hair, even if it's thick and unruly, much faster without causing any damage that regular hair dryers normally bring. This is an unparalleled virtue for businesswomen ever pressed for time and travelling excessively, as such unable to attend salons for hair styling and care procedures. 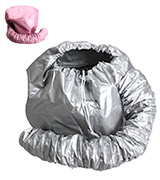 This portable bonnet hood can be affixed to any hair dryer via the elastic nozzle. With this in your luggage, you guarantee yourself an inexpensive, convenient, and multipurpose remedy to keep your locks looking stunning. 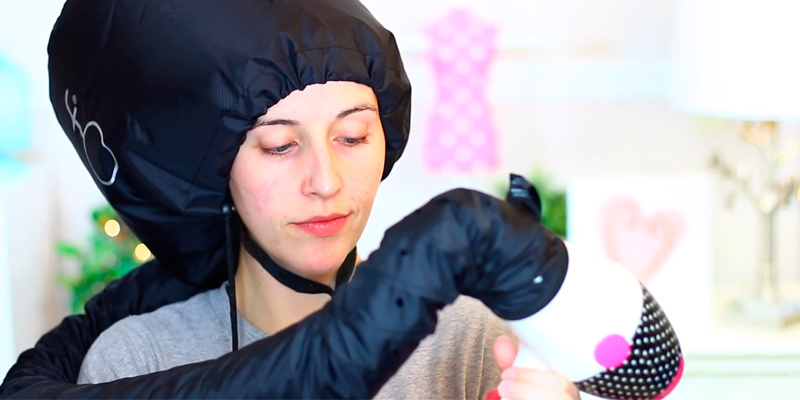 This soft bonnet attachment will help curb the effects of horrible hotel hairdryrers, leaving your hair safe from their excessive heat. However, portability is not the only feature you will find beneficial when you acquire this Hrph bonnet attachment. 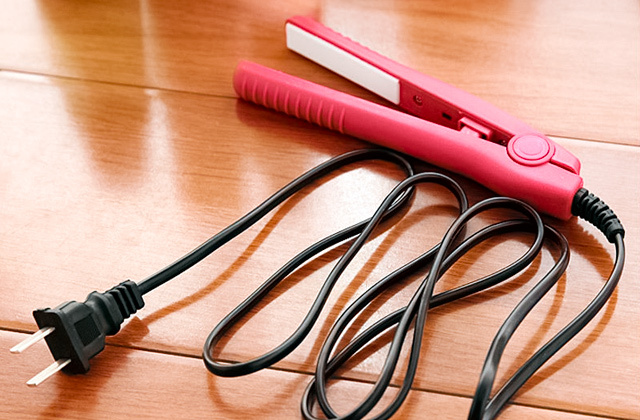 Reinforced with double stitching, it can be attached to a powerful hair dryer without risk of tearing or air leaking. This durability means longer protection for your locks! 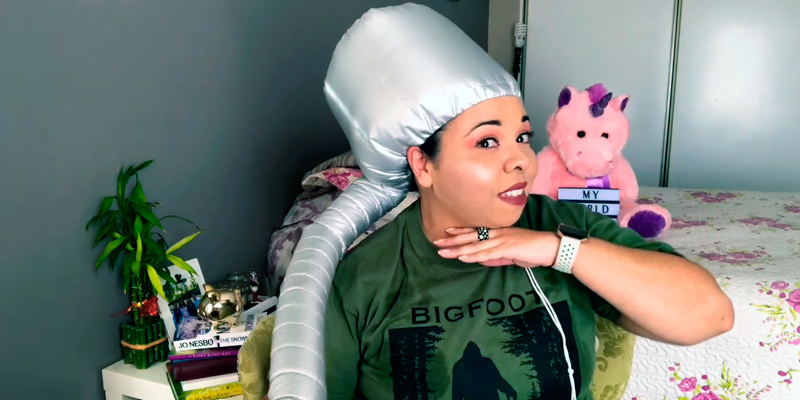 Don't miss your chance to experience fast and easy hair styling offered by the Hrph Home Portable Soft Hood and you can never resist using it again and again. Tired of managing your hair when it's voluminous and hard to comb? Then the soft hair dryer cap by MINPE will hit the spot. 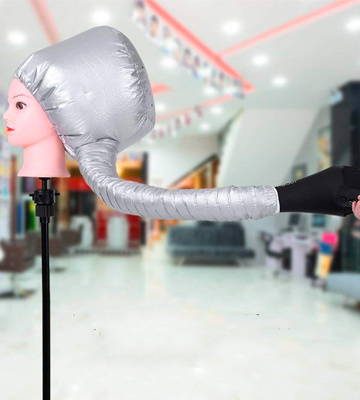 Made for people with curly and/or fleecy hair, this bonnet attachment will help you convert the ever torturous and endless hair styling into a speedy and comfortable process. You'll get well-dried and nicely styled hair without putting in any effort other than setting the bonnet on your head. This is achieved thanks to an expandable top that provides enough space for your hair even if you have a big hairdo or dreadlocks. Meanwhile, the built-in holes create good circulation to guarantee a salon-level look. The bonnet can also fit rollers or curlformers should you decide to create some nice long-lasting waves or curls. You will experience no difficulties putting the bonnet on owing to its 26 cm diameter. And you can also be sure that it will never slip off your head as the drawstring lets you pull the tube taut and snug around your head. 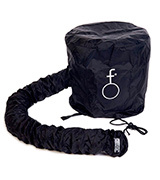 The drawstring itself is reinforced against wear and tear to extend service life. If you choose to buy the MINPE bonnet, you will get a reliable and convenient item that will simplify hair care hundredfold. 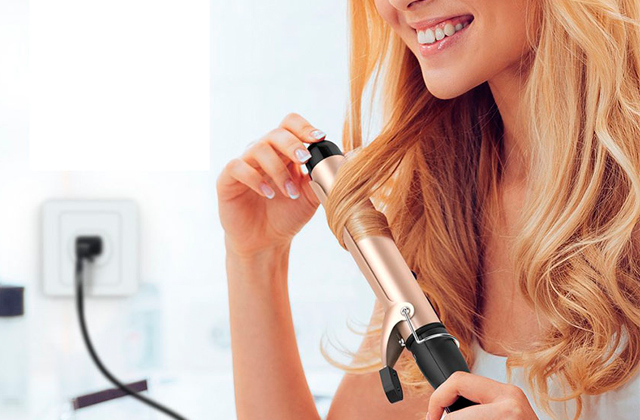 This attachment will turn your basic handheld hair dryer into a semi-professional machine. 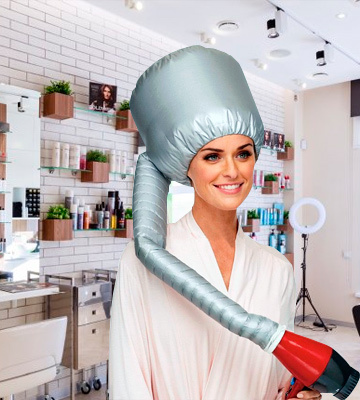 A happy medium between the vintage and state-of-the-art hair dryers comes in the form of this futuristic-looking, bonnet-style attachment, which you can affix to a blow dryer for a similar effect. It might look odd, but it produces the same evenly-distributed heat that you'd get in a salon, and is also hands-free and portable. 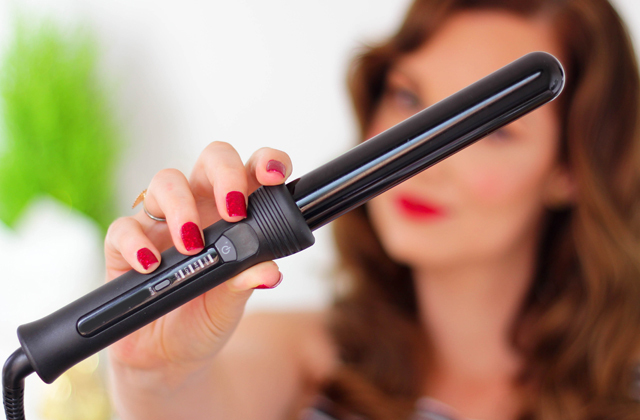 Not to mention, it is ideal for setting all kinds of hairstyles, not just vintage ones. 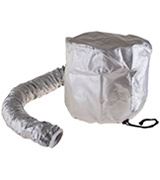 This Wellys R 033560 Drying Hood attachment can be used with either large professional hair dryers or portable travel models for bouncy, voluminous hairdos, just set your damp hair in plastic or velcro rollers, then use the bonnet to dry the locks without extra efforts or professional skills required for hair styling. 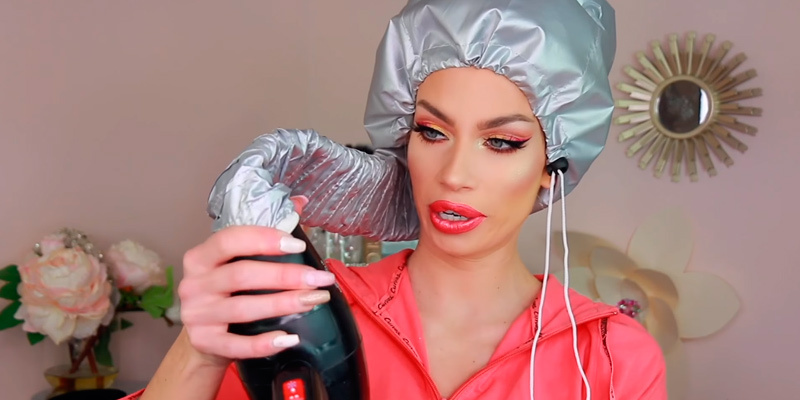 You can also refresh your hair the following day by just spraying a little bit of setting mist in it, putting it in rollers, and giving it 10 minutes to set. For wavy, curly, or frizzy hair, you can set wet or dry hair by styling it in braids or twists, then letting the bonnet work its magic while you're reading your favourite fashion magazine or texting friends. Having this hood at your disposal, you'll be able to combine it with any handheld dryer you like thanks to the elastic band. This modestly-sized fashion tool will help you produce an unforgettable and healthy look. 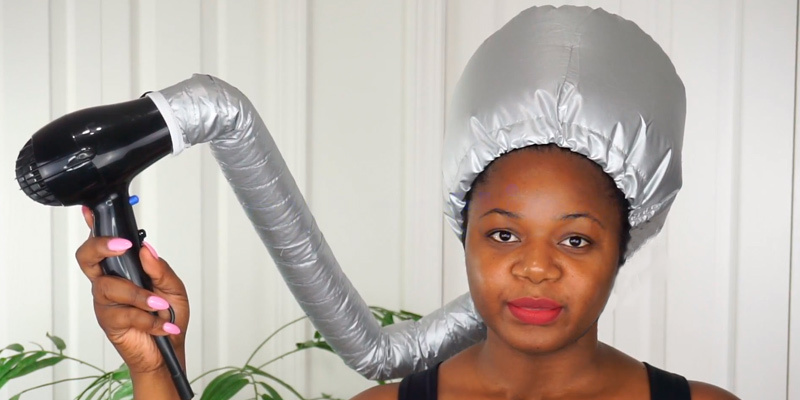 What Is a Bonnet Hair Dryer? What do women want to achieve when they go to a beauty salon? We bet most of them look forward to undergoing some procedures that would somehow transform their appearance making them look more attractive and beautiful. The hair care is usually on this list too. A mechanical bonnet hair dryer is a type of hair dryer that a hairdryer controls manually with the help of sensors and switches on the unit. An electronic digital hood dryer, on the contrary, has a computer control system. There are also models that combine the controls of electronic and mechanical hair dryers. What this means is that one of the settings is selected by a user while the rest of them are automatically controlled. Hair dryers may also be classified according to their design and fall into wall-mounted, floor-standing, and portable models. In salons, you'll likely see wall varieties which not only effectively save space in the room but also serve as a decoration element. 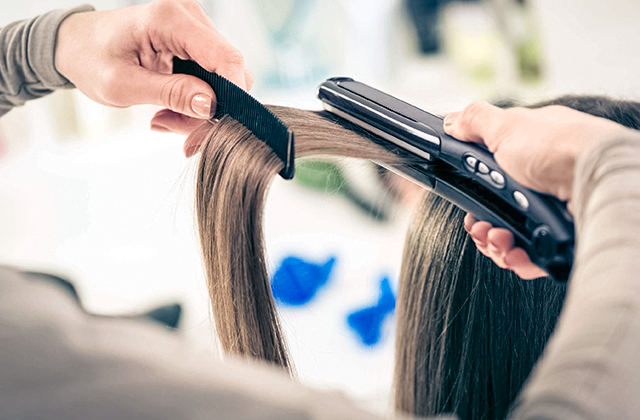 Many hair dryers today come stuffed with extra functions and modes to facilitate the process of styling hair. One of the things we'd definitely recommend you to look out for is whether the model you've chosen has an air ionization function, which can help allay negative effect of the hot airflow and strengthen the hair roots. 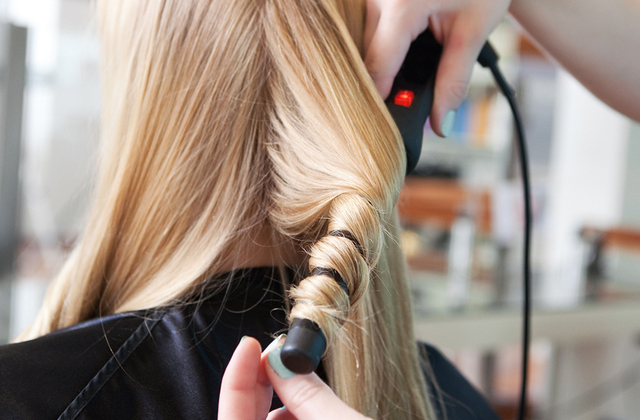 Even though hair dryers with air ionization usually cost slightly more than average, the benefits you'll get are definitely worth it. Now that we've said that bonnet hair dryers are used mostly by professional hairdressers we never meant it cannot be bought for domestic use. 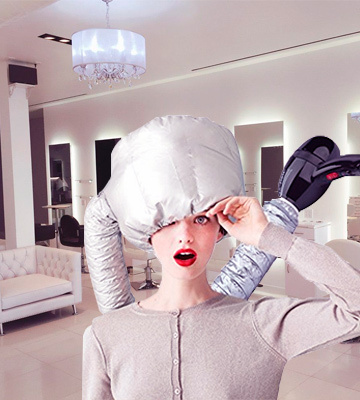 A lot of customers prefer bonnet hair dryers over other models of hair dryers finding their adjustable design a big advantage, making them practical and suitable for a variety of procedures. 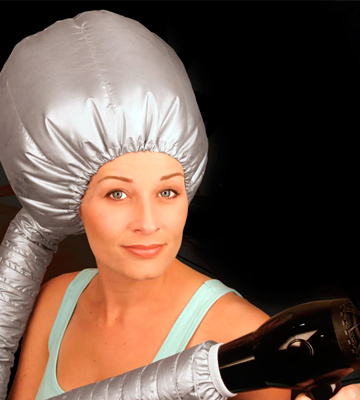 Moreover, not all bonnet hair dryers are that expensive, so you can easily find something that will fit you. Along with buying a quality hair dryer, you may want to change your shampoo too. In this review, you'll find 5 most popular hair loss shampoo that hundreds of thousands of customers all over the world have tried out and found the most effective.